Restaurant Insurance Quote, Great Rates! 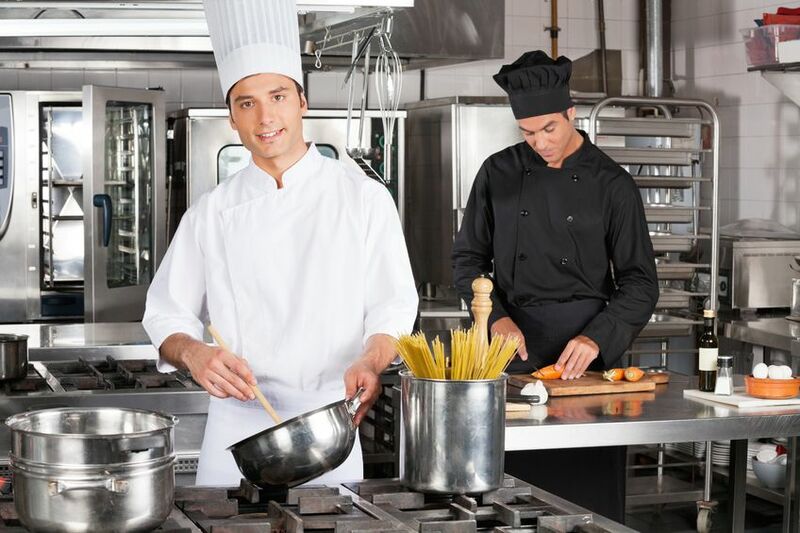 Whether your food service business is a café, deli, diner or gourmet restaurant all food service businesses have certain risks in common. Your most cost effective and efficient way to obtain property and liability coverage will probably be with a Businessowners Policy (BOP) especially tailored to food service risks. Though marketed under a number of names, these policies will typically have provisions similar to the property insurance and liability insurance sections of the BOP. The BOP covers real estate your business owns. If your business rents or leases its premises, the BOP provides coverage, in the event of a covered cause of loss, for tenants' improvements and betterments. These are fixtures, alterations, installations or additions that you have put into the space that cannot legally be removed from the landlord’s premises. The BOP also covers your equipment, dishes, food and other business property. Your basic policy will probably include two coverages that are often vital to business survival if there is a disaster: Business Income and Extra Expense Insurance (also known as Business Interruption Insurance). Business Income Insurance helps pay ongoing expenses while your business is unable to function after a loss and also helps make up for lost profits. Extra Expense Insurance helps you recover as quickly as possible by paying extra expenses caused by the loss—such as rent for temporary quarters. If these coverages are not part of your basic policy, you can add them for an additional premium. Any business that serves food carries the risk that its product could cause food poisoning or transmit a communicable disease. Adding the Food Contamination Endorsement to your policy gives you insurance for this risk. With most policies, the insurer will pay for lost income if the restaurant is closed down by government authority and will also pay for clean up expenses, food replacement, medical tests for infected employees and additional advertising expenses to restore your reputation. Spoilage: Covers the value of property spoiled as a result of a breakdown of your temperature control system due to conditions beyond your control. Mechanical Breakdown: Covers mechanical or electrical breakdown to your boilers, pressure vessels, refrigeration systems, piping and mechanical and electrical machines or apparatus that generate, transmit or simply use mechanical or electrical power. Liability risks are part of any business endeavor. A BOP covers a broad range of potential liability situations—everything from slip and fall accidents to claims of libel or slander. At the same time, there are liability risks not covered by a BOP. One that could prove costly to a business that serves alcohol is liquor liability. If you serve alcohol to someone who has already had too much to drink, you may be liable for any harm that person does. A Liquor Liability Endorsement covers your defense and any damages for which you are liable, up to the policy limit. Your personal auto policy probably provides coverage for some business use of your vehicle. A personal auto policy is unlikely to provide coverage, however, if the vehicle in question is used primarily in business. It will not provide coverage for any vehicle owned by a business. For those vehicles you must have a business auto policy. Should you be driving your personal auto for a business purpose and get into an accident for which you are liable, an injured person could sue you personally. Will your personal auto policy have enough coverage to pay all the damages? If not, a lawsuit may be filed against your business. If you use personal vehicles for business, you want to be sure you have high enough limits to protect your business. You should discuss this with your insurance agent. Let the Bill Edick Insurance Agency Inc. 530-671-9633, help you choose a policy that will fit your individual needs. Protecting your assets, whether personal, business, or both, is our goal. A well-chosen policy can lessen the impact of some of life’s most common, yet unforeseen perils. We’re here to help when you are considering purchasing this insurance from us.